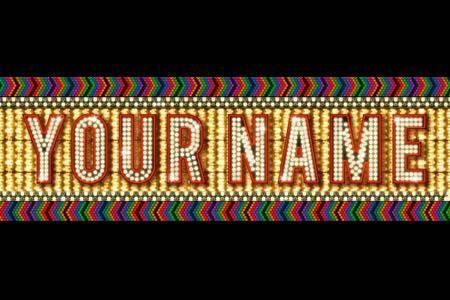 If Baldessari has his way he will give everyone a shot at fame in his recent conceptual piece titled “Your Name in Lights”. The work features a Broadway style marquee that will display the names of 120,000 lucky participants outside the Stedelijk Museum in Amsterdam this June. All you had to do was submit your name on-line with the museum. For Baldessari, “Your Name” explores the cult of celebrity in modern society and our rabid fascination with fame. The Los Angeles artist recently wrapped a similar project in Australia. Names are displayed for a mere 15 seconds which I think is an ironic commentary on celebrity 1/2 life and shortened attention spans punctuated by tweets, status updates and brief YouTube videos. Case in point. Do you know the average amount of time a museum visitor gives to a painting? According to Baldessari 7 seconds. This is down a few seconds compared to a few years ago. The other interesting thing about this piece is that Baldessari specifically wanted to take the art out of the museum to have it accessible to the general public.